Cut the track in a snowstorm - it was real fresh. We thought the Tom would only go a few hundred yards - we were wrong. The big PY Tom took us up a very steep mountain till we tree'd it. 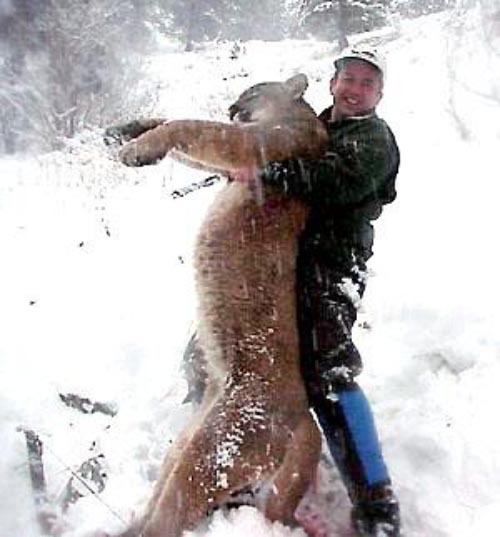 One shot through the lungs took the big cat down - it was an awesome hunt!